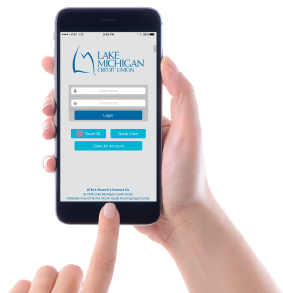 News from LMCU: Mobile banking is just one touch away! Mobile banking is just one touch away! You can now access the LMCU mobile app simply by using your ﬁngerprint. * This and other convenient upgrades are now available on our mobile app! Log in and explore the new features today! Don’t have the app yet? It’s available for free at the Apple App Store or Google Play. * With Touch ID enabled smart devices.